Weight loss, diet recipes and nutritional information! Weight control can be a major struggle in life but you do not need to struggle in this alone. 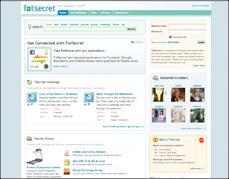 Fatsecret is a community of people who share in the same daily struggle. There is a wealth of information to be found on a variety of diets, recipes, weight loss challenges and more. Take a look at Fatsecret for yourself today.